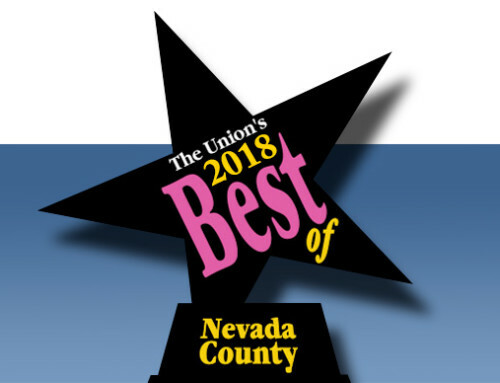 It’s a new year in Nevada County! That means new year new house? Or maybe new year new look? Ever looked around your home and thought that it needed a refresh? We’ve got twelve straightforward and low cost ways to bring new life to your home. We’ve even included a bonus-how to repurpose holiday decorations. 1. Add plants. Freshen up an indoor space with living plants. Bringing in even a single potted specimen, like a fiddleleaf fig (Ficus lyrata), will give your living room new life and a welcome hit of green in winter. Most popular indoor plants — such as ficus, ferns and philodendrons — grow best in bright, indirect light. Choose a spot by a window where the plant will receive four to six hours of indirect sunlight. Many succulents and cactuses appreciate at least six hours of bright sunlight. Adding spots of green throughout your home will make it seem brighter and refresh the air. Your home will feel fresh and renewed without having to spend a lot of money. 2. Rearrange framed photos. Instead of purchasing something new to fill a space on a blank wall, work with art and photos you already have but combine them in new, engaging ways. For example, open up more space on your desk, side table or bookshelf by removing all stand-up frames. Combine them to make one high-impact gallery wall — the more eclectic and personal the better. You can even purchase or swap frames. This will add a refreshed perspective to the photos that you may have had for a long time. 3. Let the light in. During the coldest, darkest months, any exposure to sunlight can help stave off the winter blues. Any Nevada County resident will know this well. Some winters, Nevada County residents will so rarely see the sun that when it is visible it’s surprising. While it may be too chilly outside to throw open the windows, bring the sunshine in by raising blinds or replacing heavy drapes with gauzy curtains. Pale wall paint, crisp white linens and sparse accessories also help make a room feel lighter and airier. 4. Freshen home decor. For a bright look for the new year, go for clean white, cream, pale blue and metallics. Whereas holiday decor often falls into the camp of “more is more,” a minimalist approach — such as using a single color for decorations and keeping them sparse — can have a light, refreshing feel that is all the more appreciated after holiday gluttony. If you are looking for a more DIY style, shop around local thrift or vintage stores. You can always paint or change upholstery on something that you don’t necessarily like. 5. Repaint old furniture in a bright color. Updating existing furniture with a fresh coat of paint is one of the most economical ways to give an old piece an entirely different look. To add more energy to a room, choose a bold paint color like Kelly green or sunny yellow. 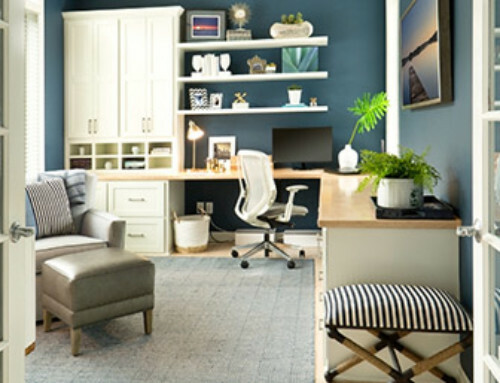 If you get tired of the color in a few years or it no longer fits with your decor, you can always repaint in a subtler hue. The best part about paint is how easy it is to swap out. 6. Repurpose Christmas lights. Before packing away all of the holiday lights, pull out a few strands of all-white ones to use through winter. String the lights up to add a subtle glow to dark areas or under the upper bunk bed in a kids’ room. It will add a more ethereal look to the space while adding a light source to a rarely lighted corner. 7. Rearrange your furniture. For a completely different perspective, try rearranging your existing furniture. Reorient your sofa to face a new direction or reverse the layout of your living room. Go a step further by removing any pieces that are no longer being used or that add clutter to crowded rooms, and either sell or donate them. This will make the room seem fresh and new without breaking the bank. 8. Declutter, declutter, declutter. Set aside five minutes each day to clean up and put away papers, accessories and general loose items. It may not seem like much, but it could be enough to make a dent in your desk clutter, clear off a horizontal surface or reorganize your bookshelf. Over a week, just five minutes a day spent decluttering can add up to a clearer, calmer space. Although it sounds kitschy, be sure that you actually toss or donate things that you don’t use. If you horde the unwanted materials in your closet or garage, you’ll end up feeling more stressed later. Getting rid of the unwanted materials now will result in a happier you later. 9. Reorganize your desk. Clear off the holiday to-do lists, receipts and scraps of wrapping paper, and lay the groundwork for staying organized in the upcoming months. For example, designate one spot for incoming papers. If papers are thrown around haphazardly, they can add up to a lot of desk clutter and be difficult to locate when you need them. Once mail or documents come into the home, do not place them anywhere but your designated spot for incoming paper. Also, use crates, baskets and boxes to collect loose items and hide wrapping materials or accessories that can look cluttered. You can always purchase binders and tabs to keep things organized. Make sure that whatever you store is necessary. You don’t need to keep every single magazine you have received, every envelope, or every box. Regularly recycle these materials to help declutter. 10. Give your bookshelf a color boost. Transform bookshelves by covering the interiors with a wash of bright paint or wallpaper. Choose a rainbow effect or a single warm hue for an unexpected hit of color in your living room. Once the paint has completely dried, move books back in place and mix in artistic bookends, potted plants or other accessories to add diversity. You can also add some framed photos or coffee table books to substitute for a coffee table. 11. Stock up on fresh fruits and veggies. Make sticking to those New Year’s resolutions a cinch with easy-to-grab healthy snack options. Bowls of fruit set on the table or on the sideboard by the front door can be a great way to tempt family members to reach for a piece instead of a bag of chips on their way out the door. Make sure to wash whatever goes into the bowl if necessary. 12. Welcome the new season. Bring in something fresh and spring-like, such as a budding branch, a bouquet of flowers or potted paperwhites (Narcissus papyraceus) to act as a daily reminder that spring is just around the corner. Don’t worry, the dark and cold of winter always gives way to the warm and blossoming spring season. That’s all for now! Looking to buy or sell your home? 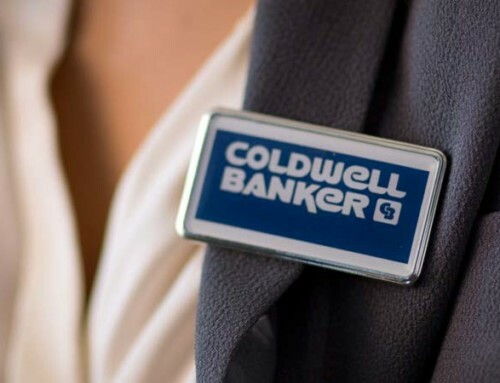 Give a Coldwell Banker agent a call today!